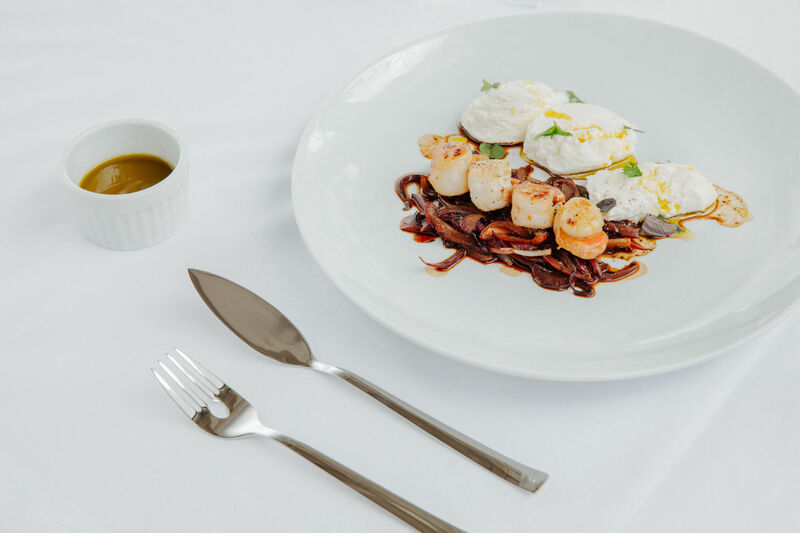 HolaOlive offers premium gastronomic experiences. 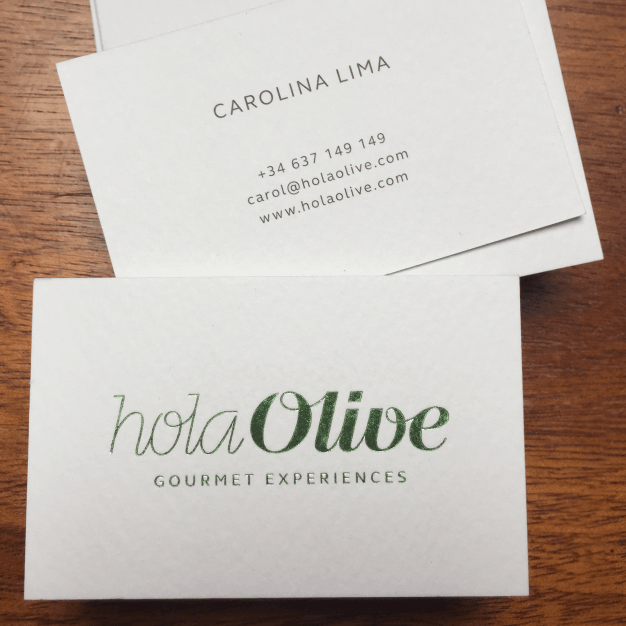 Based in Barcelona, but Brasilian born Carolina, the founder is an olive oil sommelier. She wants her guests to have an unique experience whether it involves tasting premium olive oils in Catalunya or immersing into the heart of Pantanal with Michelin star chefs. I was commissioned to create the brand universe: logo, business cards and art direction for photography. 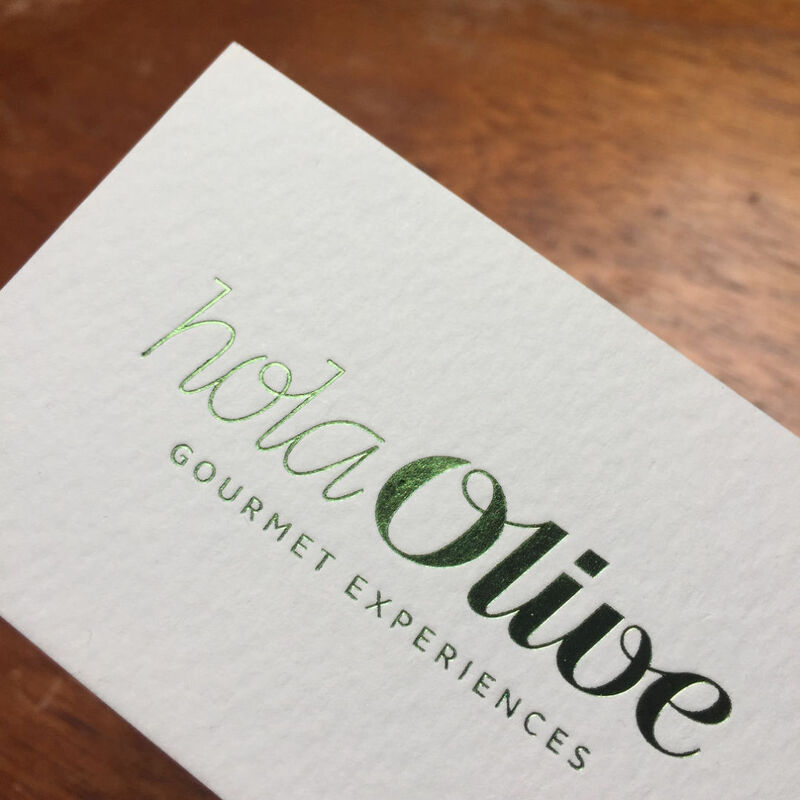 The logotype it's sophisticated and elegant with an emphasis on the word Olive. 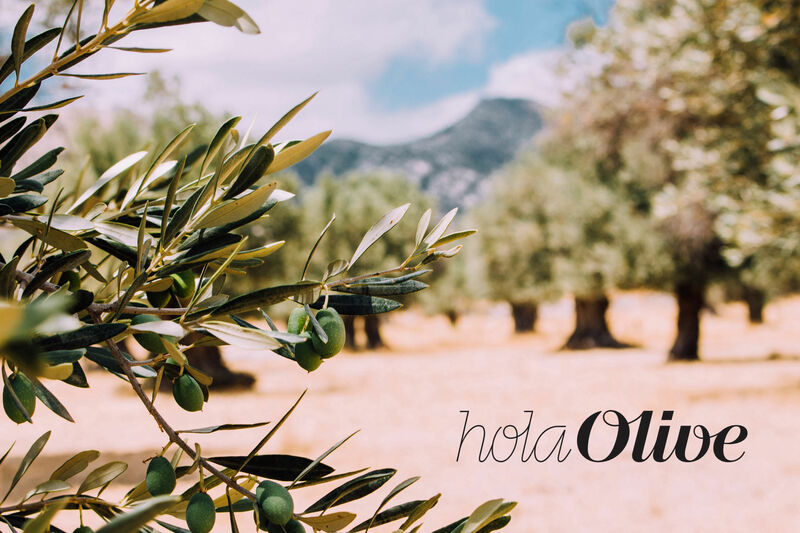 As the olive oil is the light-motif of Carolina's gastronomic experiences.